There’s no genre of film that’s undergone more transformation than the romance genre. From the early days of Hollywood, romance has intertwined its way into almost every story in some way, but the films that were dedicated to the harrowing journey of romance helped make the industry what it is today. Even with such an illustrious past, if you were to scour the charts for the one-hundred highest-grossing box office films of all time, it’s a list that’s almost devoid of romance films. Except for Titanic. We’ll always have Titanic. It may not be completely fair to gauge romance films against summer blockbusters. With the introduction of the money-printing superhero genre and the modernization of the big-budget adventure tale, most romance films shouldn’t be expected to outsell these box-office dominators. Even with that in mind, box office numbers for those specific genres–romantic comedy and romantic drama are still dominated by films that released in the 90’s and early 2000’s. Why is that? It’s because the transformation isn’t quite complete. Romance films, mostly romantic comedies but dramas as well, have become cold to the average moviegoer and the industry has taken note. Plagued by a decade-and-a-half of formulaic stories involving summer flings, third act breakups, and a tender reunion set to a sunset, these stories of love began to feel like they weren’t worth the price of admission. This can best be seen in the reception to the latest Nicholas Sparks adaptation, The Choice. In what’s just another two-word titled movie that’s come from Spark’s bibliography, people have become bored with what’s being offered. Originality, in many ways, has left romance films entirely. Sure, there are films like La La Land that can wake us from our slumber, but La La Land was one romance film released in 2016 among other titles such as Bridget Jones’s Baby, Passengers, and How to be Single—all movies that were torn apart by critics. Passengers starred Jennifer Lawrence and Chris Pratt (two actors currently more popular than the stars of La La Land) and that movie’s predictable beats still overshadowed their universal appeal. But the predictability wasn’t the only factor to lead to this transformation. Just as the genre of romance is changing, the roles of women in films is also evolving for the better. While there are exceptions to this rule, romance films of the past have relied heavily upon the male lead to act as a sort of catalyst for all of the actions that eventually lead the couple to true love. In When Harry Met Sally, it’s Harry that pronounces his love for Sally on New Year’s Eve. In You’ve Got Mail, Joe realizes the identity of his online correspondent is Kathleen and he becomes the one to put himself out there past the screen of anonymity. In the same vein, some major romantic comedies involved the female lead being “rescued” by her man of power, an act that eventually leads to love. We can’t forget Maid in Manhattan, a story where Jennifer Lopez plays a maid that’s pulled away from her life of poverty by a to-be-senator played by Ralph Fiennes. If that’s not enough, the trope-conceiving film Pretty Woman embodies this concept to a problematic tee. While some of these stories are great—some would call them classics, the viewing audience has changed in the way they want a female lead to be portrayed, and rightfully so. Just in June of this year, Jessica Chastain, while serving as a jury member for the Cannes Film Festival spoke out against the portrayal of women that she saw in this year’s submissions. There’s an outcry for change in how women are shown in our media, and the reaction to this change is already happening. Even though romantic films—specifically romantic comedies—are still trying to bounce back, Amy Schumer’s 2015 romantic comedy Trainwreck goes to show progressive strides are being made. It’s nowhere near a rock-solid film, but Amy (that’s her character’s name too) is the driving force behind everything. In the end, she’s the one to put all her cards on the table. But one film, or even ten, isn’t going to turn the tide. Studios aren’t keen on investing in a risk, and the once-reigning genre that was pulling in over $100 million in the box office with every release is now persona non grata, at least in its traditional form. That doesn’t mean that stories of love aren’t being told, or that strong women aren’t making their way onto the screen, but love is now served in a different form: the female buddy movie. The buddy movie is also a defining genre for Hollywood. I knew about Riggs and Murtaugh from the Lethal Weapon franchise before I knew the name of the first President. And while male-led buddy movies have been around forever, the exclusively female buddy movie is a sub-genre that’s been around for a while but has only blossomed in the last decade. 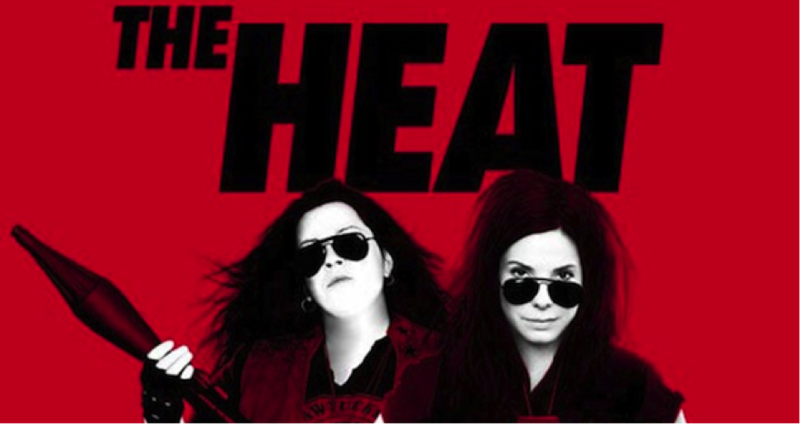 It’s led to some revised adaptations from past buddy movies like Ghostbusters and Oceans 11, but it’s also spawned some completely original movies like The Heat or Hot Pursuit. In a lot of ways, female buddy movies have taken the crown and now reign supreme as a safe bet for studios. Ensemble casts of strong, intelligent, personable women overcoming an obstacle together is one way of evening the balance that has and is so skewered towards movies led by a male cast. Unfortunately, this change in balance has left the romantic comedy genre somewhere off the scale completely. Romantic dramas still have their foothold, especially with the Academy when done well, but it’s an ever-shrinking spot on the mountain. The genre will need to continue forward with original strides if it’s hoping to keep up with the modern audience. But as Passengers showed us, that can’t come at the sake of good storytelling either. Will romantic comedies ever recover in theatres? Only time will tell. With television shows like Master of None and Girls using elements of romantic comedy to tell a larger story, it may be that the genre has found a new niche for itself as a sub-genre for the time being. And for those of you hoping to still be able to catch a romantic comedy in theatres every once in a while, they’ll still be around in the form of a slapstick high school something or other. Hopefully, that won’t always be the case.